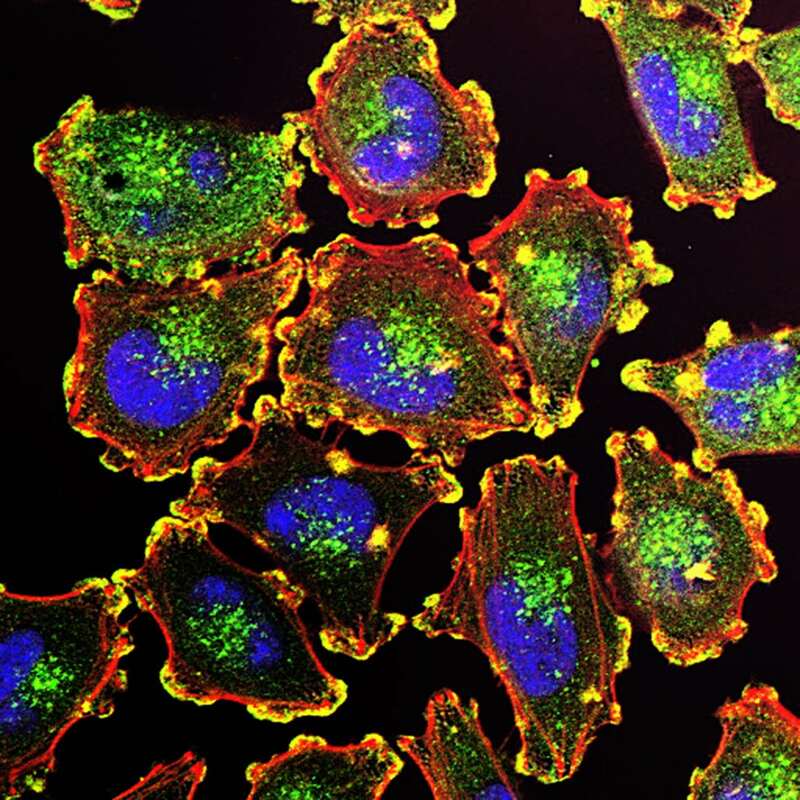 The U.S. Food and Drug Administration (FDA) has expanded approval of a new immunotherapy drug to include frontline treatment for patients with advanced melanoma. Pembrolizumab (marketed under the brand name Keytruda by Merck) works by short circuiting the mechanism that slows down or stops the body’s immune system. In doing so, the drug allows T cells—the body’s natural defenders against disease—to recognize, attack, and kill cancer cells. Melanoma is a type of skin cancer caused by damage to the DNA of melanocyte cells in the skin. Melanocytes produce melanin, a pigment in skin that is primarily responsible for skin color. When the cell’s DNA is damaged, it may cause it to mutate—leading to rapid, uncontrolled growth and the formation of malignant tumors. While melanoma is curable when caught and treated in its earliest stages, prognosis is poor for melanomas that have metastasized and spread to other parts of the body. Now, thanks to new advances in immunotherapy drugs like pembrolizumab, patients with advanced melanoma have a new weapon and greater hope of successfully combating the disease. In 2014, pembrolizumab initially received accelerated approval by the FDA for melanoma, but, until recently was only given to patients who were not responding to ipilimumab (marketed as Yervoy). Ipilimumab is another form of immunotherapy that works in a similar way as pembrolizumab, by cutting the brakes on the immune system. Pembrolizumab is an antibody that targets a protein (called PD-1) that is expressed by immune cells. PD-1 is responsible for slowing down or stopping the immune system, to prevent it from attacking certain cells. When this occurs, T cells fail to recognize melanoma as a threat and do not attack the cancer. For decades, doctors used immunotherapy to fight cancer by powering up the body’s immune system to more effectively kill cancer cells. The success of this strategy has limitations, however, as the PD-1 protein prevented the immune system from being active enough to kill melanoma cells. With the help of pembrolizumab, the immune system no longer puts on the brakes, allowing it to attack and kill melanoma cells in the body more effectively.